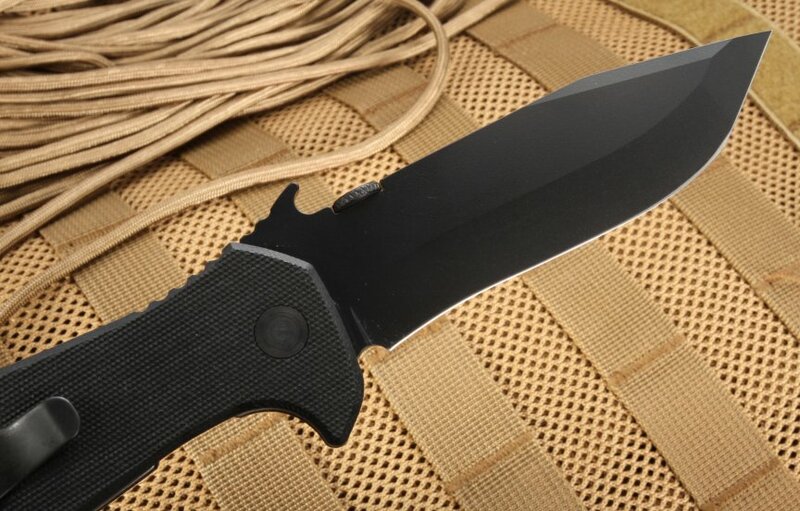 A simple, strong and attractive knife that you'll be able to easily open one-handed and grasp through thick and thin: That's the Black Coated Emerson CQC-15. 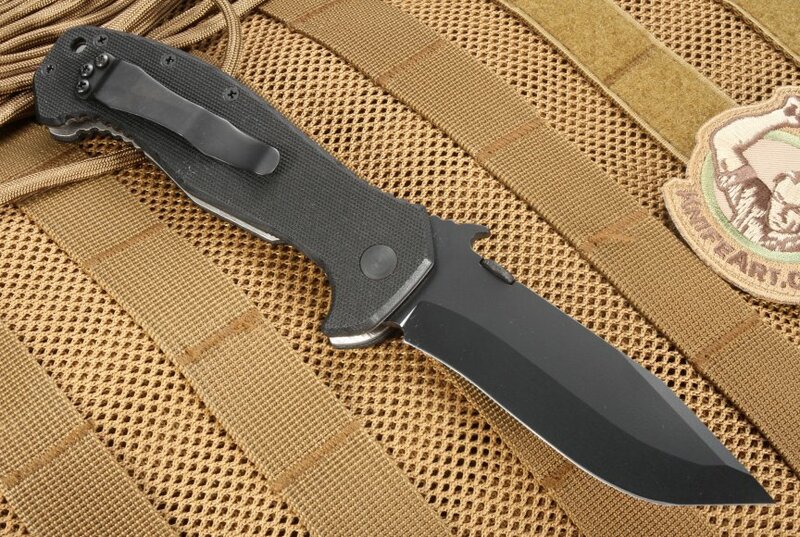 Emerson is known for making good quality folding knives suitable for everything from military use to everyday carry. The CQC-15 BT's well-designed tanto/recurve blade combination holds an edge exceptionally well while giving you a piercing point and excellent cutting functionality. The conventional V grind blade, which measures 3.9 inches and is relatively thick at 1/8-inch, is made of American-made stainless 154CM steel and has a hardness of 57-59 RC. 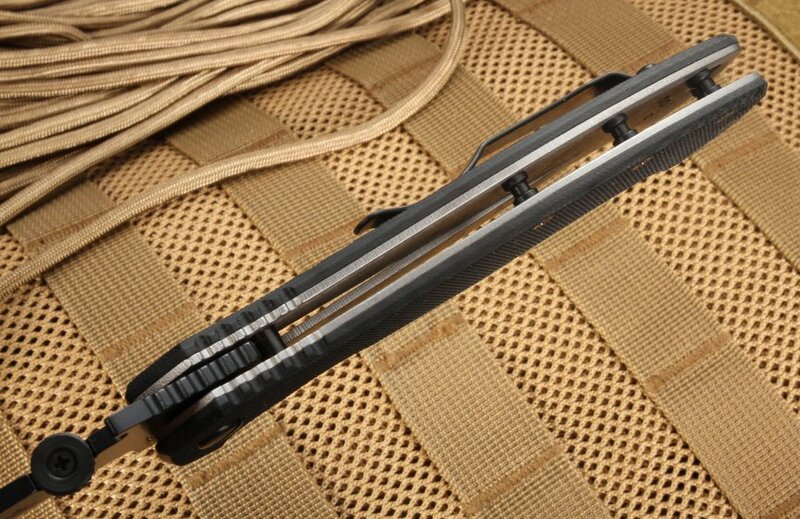 With titanium locks and liners, this American made tactical knife will last through tough outdoor use. It's easy to grip with a wide, textured handle constructed from durable G-10. 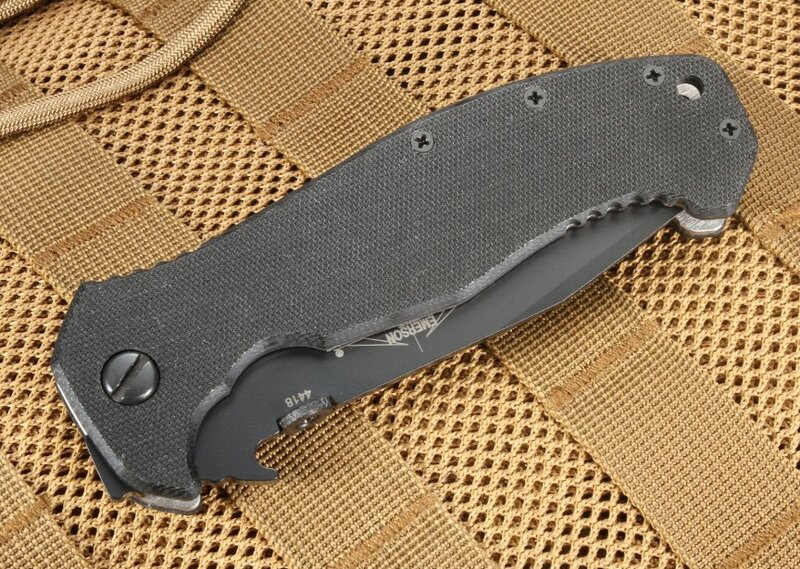 Plus, this knife incorporates Emerson's patented wave opening feature, that is located on the top of the blade spine, that lets you go from pocket to unfolded and ready for action in seconds. If it's an emergency, you'll be able to open it easily with just one hand. When open, the close quarters folding knife measures 8.9 inches, and it folds down to 5 inches exactly. With a weight of 4.8 ounces, this knife has just enough heft but is easy to carry in a pocket. It comes with a pocket clip for ease in carrying. We guarantee our knives to be genuine and well constructed. 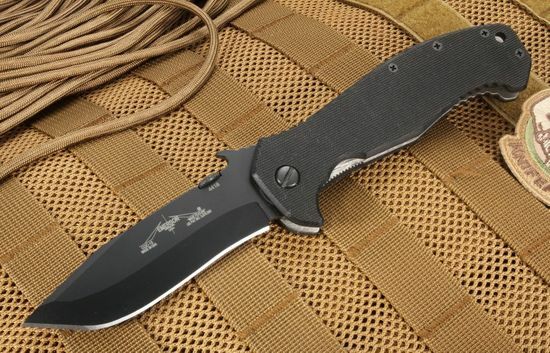 Order from KnifeArt.com today and we'll ship the Emerson CQC-15 with black blade to you anywhere in the U.S. for free. Not happy with the knife once it's in your hands? Return it with no questions asked.